GRANDDADDY OF RAP Abiodun Oyewole’s musical career began after MLK’s assassination. The Last Poets are rightly called the godfathers of hip-hop. Formed in Harlem in the late 1960s, the group was the first to join percussion with politically charged poetry, inspiring a generation to use their voices and words as tools of social justice. This weekend, the Last Poets appear in a daylong event that includes a spoken-word workshop and performance at the Phoenix Theater in Petaluma as a benefit for local radio station KWTF. 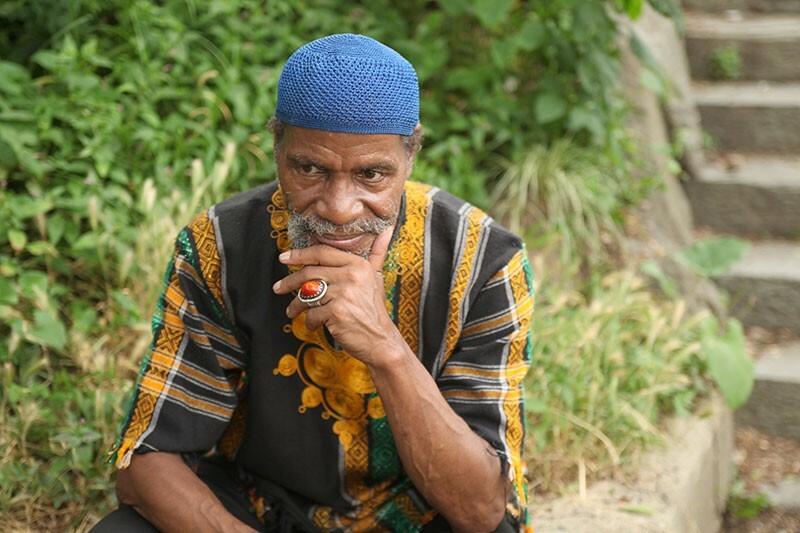 Founding member Abiodun Oyewole got into poetry when Martin Luther King Jr. was killed. "When Dr. King was killed, I really kind of lost my mind," he says by phone. "I felt it was such an insult to black people." Oyewole's friend and fellow poet David Nelson made mention of starting a group of poets to act as a unifying force of expression for African Americans. "We all have the same foot on our necks, and we need to unify to get that foot off," says Oyewole. A month after King's death, the Last Poets made their debut, on May 19, 1968 (Malcolm X's birthday), at Marcus Garvey Park in East Harlem. The drums came early. "When we first performed, there was a drummer dismantling as we were coming onstage. I motioned to him and said, 'Stay,'" Oyewole remembers. "I felt having some rhythm, some percussion in the background would enhance what we were doing." It worked. The Last Poets brought in a conga player and performed extensively around New York and the East Coast. When they released their self-titled debut album in 1970, it sold a million copies by word of mouth. "It told me that we had the pulse of the people, that they appreciated what we had to say," says Oyewole. A decade later, the foundation laid by the Last Poets blossomed with the advent of hip-hop. "I've spoken with KRS-One, I've spoken with Kool Herc," says Oyewole. "They tell me that back in the day the only thing they listened to was the Last Poets. We were definitely the prototype; they just took it to another place." The Last Poets: Made in Amerikkka, host a youth poetry showcase and perform works of their own. A new album due next year proves that the Last Poets' legacy is still being written. "I just hope I can continue, because this is the greatest thing I think I can really achieve," says Oyewole. The Last Poets appear Nov. 14, at the Phoenix Theater, 201 Washington St., Petaluma. Workshop, 1:30pm; Youth Showcase, 6:30pm. film, 3:55pm; performance, 9pm. $10–$20. 707.762.3565.